Alex Gordon-Most Underrated Player in Baseball? 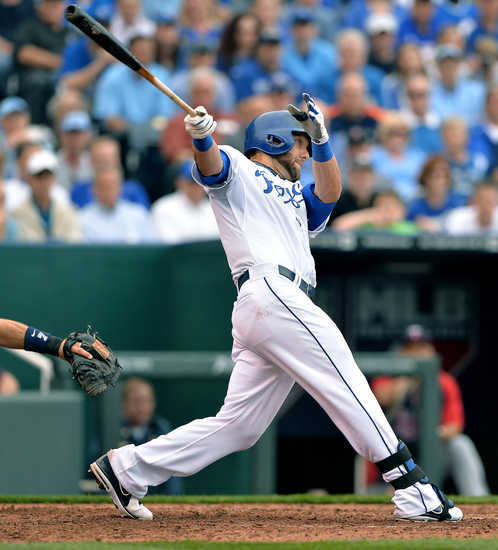 It seems weird to think about how far Alex Gordon has come over the past couple seasons. It seems such a long time ago that Gordon was written off by some as a bust and a failure as a former #1 Draft Pick. Who would have guessed that a move from third base to the outfield would unlock the potential that most felt A1 had all along? But it really isn’t as simple as that. It took more than a position change to get Gordon from where he is at today-as possibly the most underrated player in baseball. The first move seemed like a simple, last grasp move by the Royals. After years of being a third baseman, the team sent Gordon to AAA Omaha to work on learning the outfield. The thinking was he would have to think less playing out in left field. But there was more to it than that. 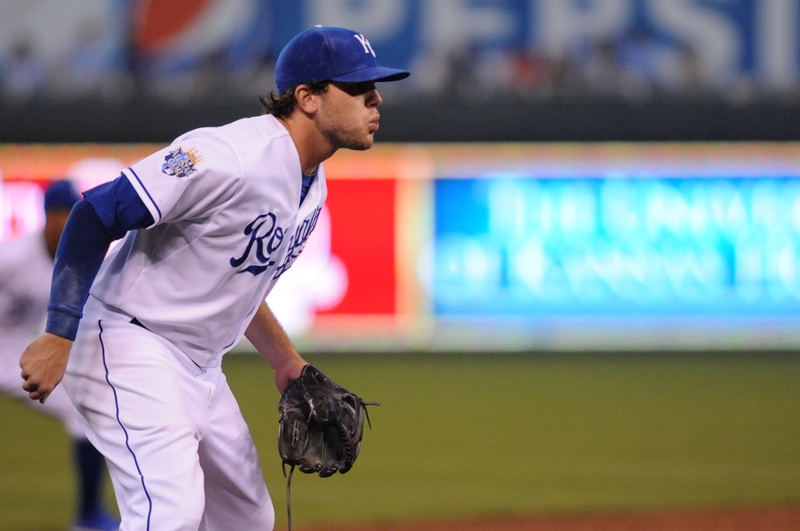 From day one, Gordon had been compared to Hall of Famer George Brett. Now, Gordon wasn’t the first Royals prospect to be compared to Brett, and in all honesty probably won’t be the last. Since they played the same position, it was that much easier for everyone to make that comparison. Gordon was supposed to pick this team up and be an All-Star from day one. Instead, he floundered at the plate and in the field. No one will ever know how much pressure Gordon felt, but playing the same position as the organization’s greatest player makes it that much harder for him to reach those lofty expectations. So Gordon was sent to Omaha in 2010 to learn the outfield and hopefully be the change he needed to tap into the potential of the newest Kansas City savior. Changing positions was just step one in unlocking the Gordon everyone wanted to see. Step two was working on his hitting. Gordon had always had a good eye, even when he played at the University of Nebraska. You could even tell that during his rookie season. The bad part was a green rookie from Nebraska wasn’t going to get the calls that a veteran gets. So we saw a lot of Gordon taking strike three calls, pitches that he thought were off the plate. He also started to get a little pull happy, so what once was a hitting machine had turned into a .250 hitter in the major leagues. Add in an attitude of knowing what he was doing, and you have a recipe for disaster. Rumors had floated around for years that one spring Brett tried working with Alex on his hitting, just giving him a few tips. Instead, the word was that Gordon blew him off. I have no idea if this is true or not, but if it was it shows why Gordon struggled at the major league level for such a long time. But by the time 2010 ended, A1 knew something had to change. Insert Kevin Seitzer here. 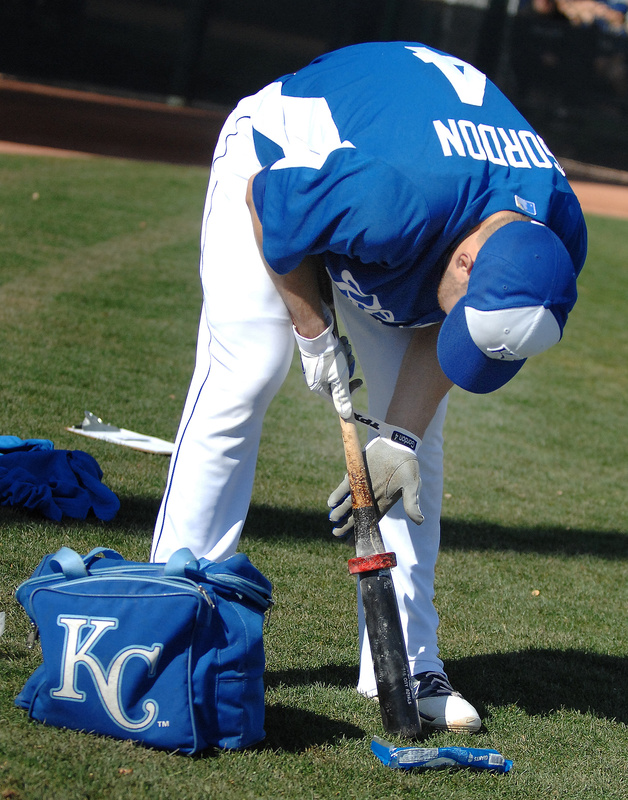 In the spring of 2011, former Royals player and then hitting coach Kevin Seitzer began working on Alex Gordon’s swing. The first move was to get him to quit pulling everything. Seitzer was a singles and doubles hitter during his career, and he seemed to preach the same sort of philosophy to his players. Seitzer began teaching Gordon to go up to the plate with a game plan, and also to just think base hits. Gordon himself admitted that for the longest time he was focused on going up and hitting a double or a home run instead of just playing it nice and easy. Most have felt since the day he was drafted that Gordon was a hitter with power and should show that. The problem was that was all he thought about, instead of just keeping it simple. 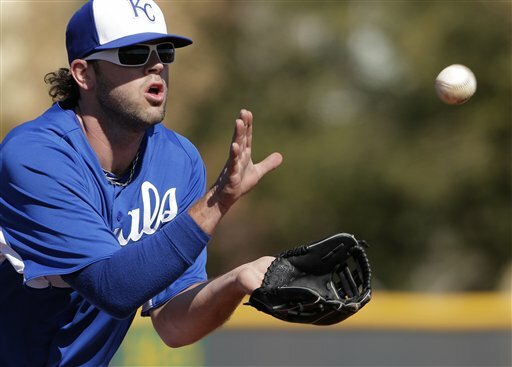 Seitzer re-trained him to be a hitter instead of trying to be a slugger. Once Gordon started seeing results in 2011, everything else fell into place and Gordon swore by Seitzer’s teachings. Even in 2013, with Seitzer out of the picture, you can still see his teachings when watching A1 at the plate. 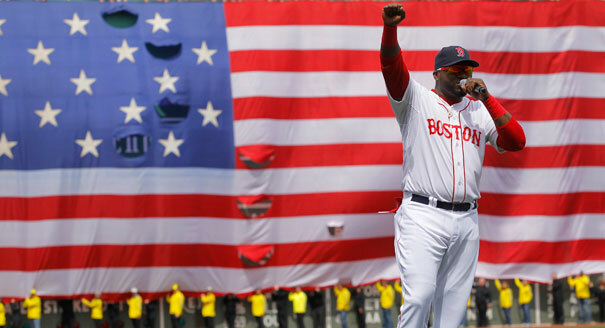 Gordon has evolved into one of the better hitters in all of baseball, as 2011 would eventually show us. 2011 was Gordon’s coming out party. In 151 games, Gordon hit .303 with 23 homers and 87 RBI’s. Those are just main surface numbers though. Manager Ned Yost also moved A1 to the lead off spot early on in 2011 and was able to boost his numbers even more. Add in 17 steals, 45 doubles, and a WAR of 7.3, and even though Gordon wasn’t your typical lead off batter, he showed a level of comfort with his spot that had never been seen before. The Alex Gordon that we had all hoped to see when he was a rookie was finally here in his 5th year in the league. To top off those numbers, Gordon also proved a quick learner at his new position, with 20 assists in the outfield and a .991 fielding percentage. Thanks to those numbers, Gordon would rack up his first Gold Glove award for his play in left field. 2012 was more of the same from A1, as he would finish with a .294 average, with 14 home runs and 72 RBI’s. Gordon would also tally 51 doubles to lead the league, but these numbers don’t really stress just how his year evolved. Gordon started out the year slumping, and was bounced around the order most of the year by Yost. Gordon was most comfortable at lead off again, but by August he was regularly batting 3rd in the order and protecting Billy Butler in the lineup. Butler would get most of the press in 2012 for his offensive numbers, but the argument could easily be made that Gordon had just as good a year for Kansas City. Adding to all this was Gordon’s second consecutive Gold Glove Award and finally baseball was paying attention to his defense, if not the total package. This year looks to be another stellar year so far, as a month in we are looking at about the same numbers that he has amassed the last few years. So why is Gordon not talked about when mentioning the best players in the game? Obviously, playing in the Kansas City market alone means you won’t get the coverage of a player in Boston, New York or Chicago. But market alone does not dictate why he has been overlooked. Gordon’s power number’s have never been what many in baseball felt he could do, and whether we like it or not, those numbers are still thought of as a prime number to look at to value a player’s worth. Never mind that 51 doubles are just as good as 20 some home runs, especially considering a good number of those help drive in runs. 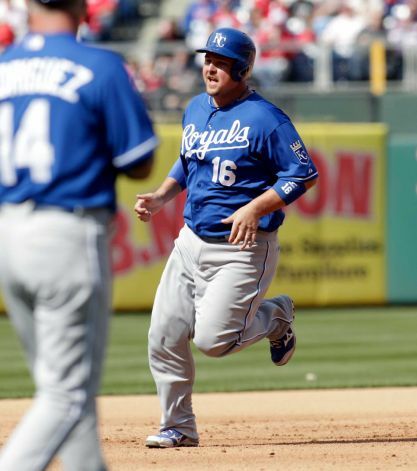 If anyone noticed last year, Billy Butler’s power numbers went up, while his doubles went down a bit. In the grand scheme of things, that is no big deal. But people heard a lot more about Butler in 2012 than they did Gordon. If Gordon had sacrificed a few hits to try to hit the ball out of the park, he might have gotten noticed more. But if he did that, he might not be the player he is today. 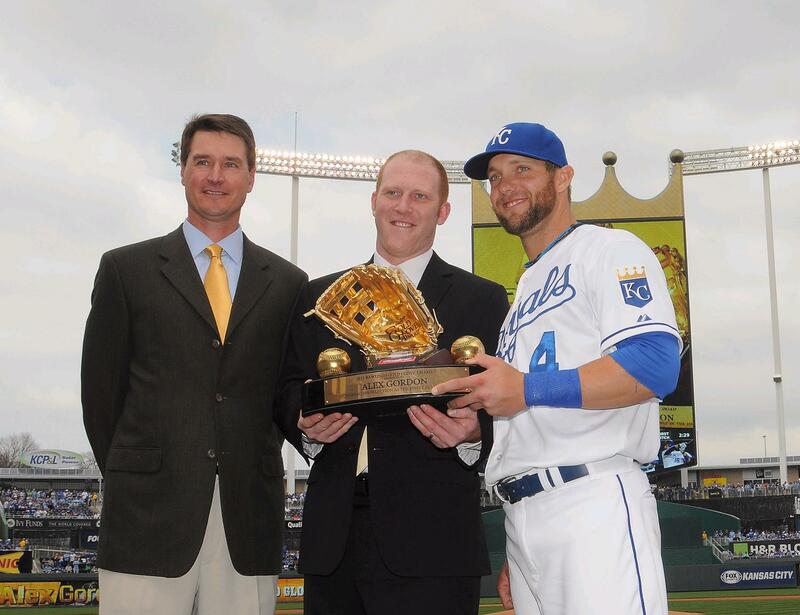 So will 2013 be the year that Alex Gordon is fully recognized for just how good of a ballplayer he has become? With the way he has played so far, there is a good chance he could be making an appearance in the All-Star game come July. His numbers even indicate we could see his home run numbers spike back up near his 2011 total, especially considering he might be the strongest hitter on the team. He has also been the most clutch hitter the Royals have this season. There are very few flaws in his game right now, so it seems he could be poised for his best year yet. 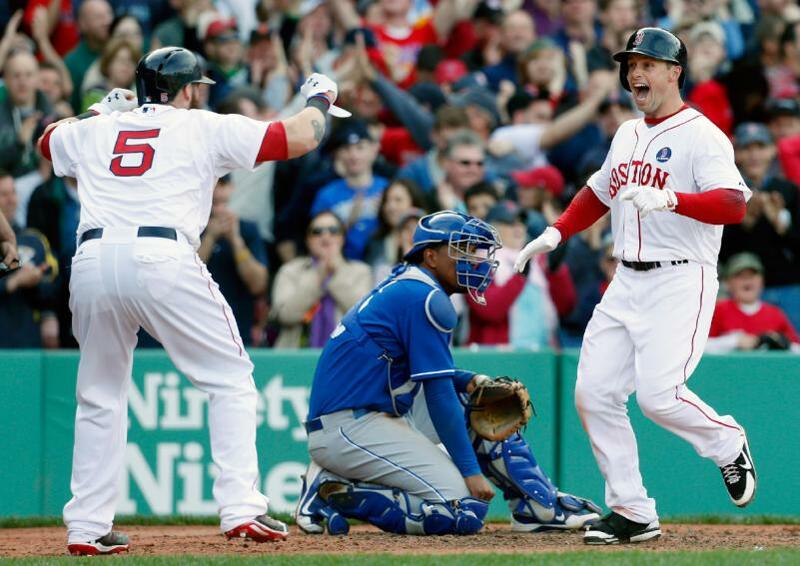 I feel bad for some baseball fans that don’t get to watch a player of Gordon’s caliber on a regular basis. When you don’t, you don’t make comments like I made last week to a co-worker. 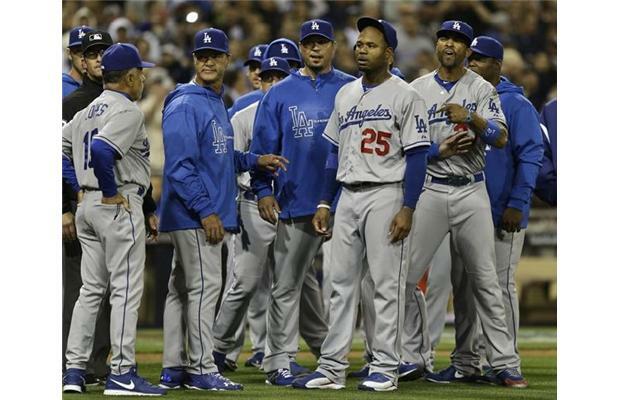 The Royals had tied the Tigers and the two teams were preparing to go to extra innings. I was leaving work when it was mentioned to me. Apparently(I say apparently because I only faintly remember this conversation), I said “Good. Just gives Gordon one more chance to hit another home run and win the game for Kansas City” or something to that affect. Gordon then hit a grand slam, his first career one, that could have possibly been hit out of Yosemite National Park. When it’s your team’s best player, you know anything is possible. It’s just time now for the rest of baseball to figure this out. 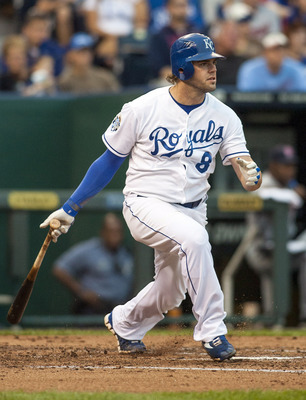 During the first half of the 2012 season, it looked as if Mike Moustakas was having his breakout season. Not only was he hitting the ball with authority, but his defense had improved to the point that his name could be mentioned in the Gold Glove conversation and not be laughed at. 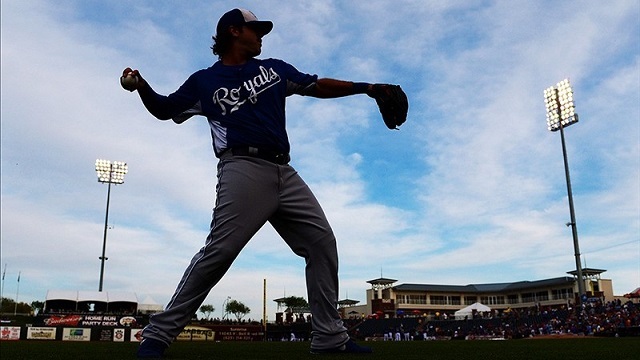 All signs pointed to him improving faster than golden boy Hosmer. Then in late July, Moustakas sprained his right knee in Seattle and the season went downhill from there. After batting .268 in the first half, Moose batted a paltry .211 in the second half of the season with his slugging percentage dropping from .490 to .325. Most everyone put the blame on the knee issues and figured if he got healthy during the offseason, we would see more of the Moose we saw in the first half of last year in 2013. But so far, that has been the farthest thing from the truth. Now remember, before we delve into this, we are about three weeks into the season and there is more than enough time to turn things around. By no means is this a declaration of the sky falling and the world caving in. But there are some worries. 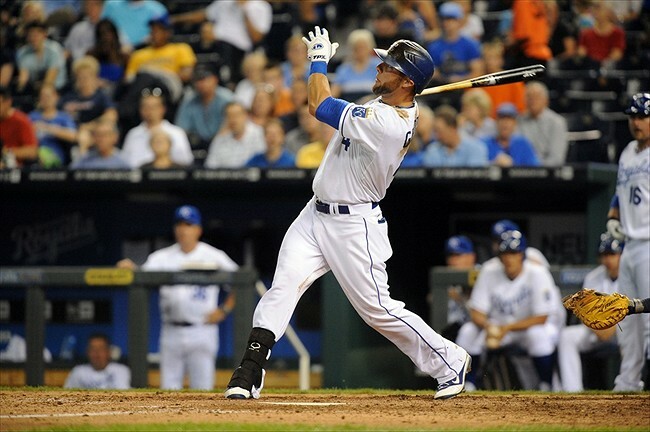 Moustakas has gotten off to a rotten start so far and his numbers show it. Through the fifteen games he has appeared in, Moustakas is hitting a putrid .158 with an even uglier slugging percentage of .193. He has walked five times, which is a tiny consolation, but he was intended to work in the middle of the order for the Royals and he has done nothing so far to deserve to stay there. So far he only has 2 extra base hits and one lonely RBI to account for, but there are other numbers that don’t completely explain what is going on. His average facing lefties and righties are very similar, and his road and away numbers aren’t so far apart that you can really gauge something from it. So what numbers do help explain some of the problems? The numbers that really stand out to me are his batting average in certain counts. In counts that favor Moose(whether that means first pitch or counts with more balls than strikes), he seems to be making better contact. But when you venture into the counts in the pitchers favor, Moose’s numbers’ plummet. Take a look here. This shouldn’t be completely surprising, as it makes sense that if you are down in the count, it is in the pitchers’ favor. But if you are ever going to be a successful major league hitter, you have to do better in those situations. 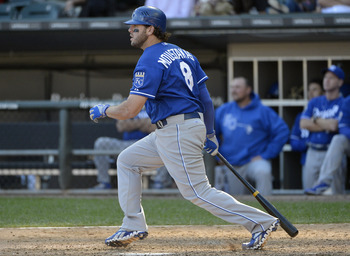 So far, it seems to be making matters worse for Mr. Moustakas. Is there anything else that stands out? If you are like me, and have watched the majority of the Royals games so far, you have probably noticed the high rate of popups that Moose has hit. This probably means that he is getting under the ball and his timing is off just a hair. It would also explain a lot of the other problems, as he is just not hitting the ball with any authority. If you remember the beginning part of last year, Hosmer was lining out a lot and hitting the ball right at the defenders. Call it bad luck, or good shifts, but he was at least getting a good read on the ball. Moose doesn’t look like he is doing that so far, and in fact looks lost a lot of the time. That is not a good sign, and could make for more problems in the coming weeks. 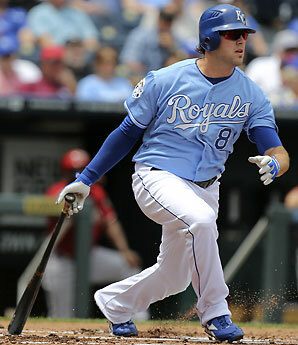 With the Royals offense still sputtering, they need Moose to find a groove and start hitting the ball with a little bit of oomph. Instead I’ve started counting the pop ups and wondering if I should yell ‘Too High’. So what are the Royals to do? For now and the immediate future, the best thing is for Mike to continue to work with hitting coaches Jack Maloof and Andre David and hopefully get these issues straightened out. But so far the Royals are getting great outings from the starting pitching, and there is only so long they can tolerate someone(anyone?) hitting below .200. The question then gets asked ‘how long does Kansas City stick with him before sending him to the minors?’ I think the team will give him a long leash, as there doesn’t seem to be one solid answer for the team in the minors and Moose is still playing good defense. If it does happen, we will probably see someone like Anthony Seratelli or Brandon Wood called up, or possibly even Irving Falu. Whoever would get chosen would probably split time with Miguel Tejada and Elliott Johnson, unless one lone player stood out from the bunch. Unfortunately, none of those players do, so none are really a long term answer if Moose can’t find his swing. The depth just isn’t there for the Royals. But as of right now, I think he has another 3-4 weeks before that conversation is had. But at that point, something will probably have to happen. 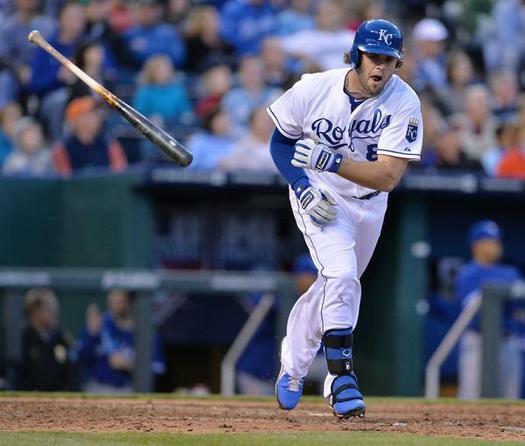 If it does, it isn’t the end of the world for Moustakas. Some kid named Brett got sent down to the minors early in his career, and eventually he came back and held third base in Kansas City for a very, very long time. He wasn’t too shabby of a ballplayer either. So by no means would this mean the end of the world for Mike. But something has to give, and probably soon. If not, he will be correcting his swing in the minors. 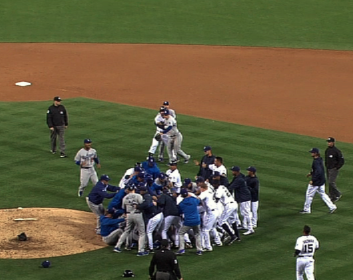 This past Thursday, the Dodgers and Padres became involved in one of the bigger baseball brawl’s in quite some time. 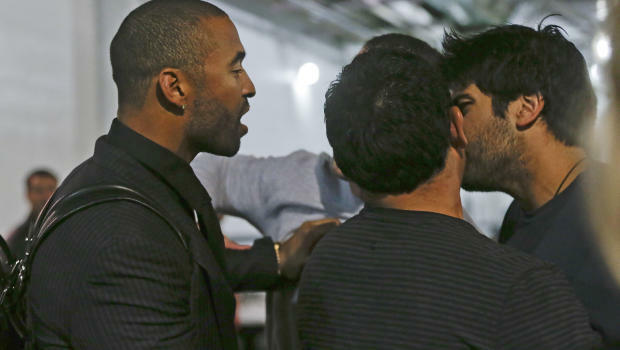 There has been a lot said about what instigated this fight, and the fallout from it. There is even more intrigue for us Kansas City Royals fan, as former fan favorite and current Benedict Arnold impersonator, Zack Greinke, was the center of attention in this brouhaha. So what fueled this struggle on the coast? Read on. In the previous inning, the Padres threw a pitch high and tight in to Matt Kemp, a pitch that was dangerously close to Kemp’s head. There is no way of really knowing if that was done on purpose or not, but I tend to think that was just a pitch that got away. No harm, no foul, right? I think so. 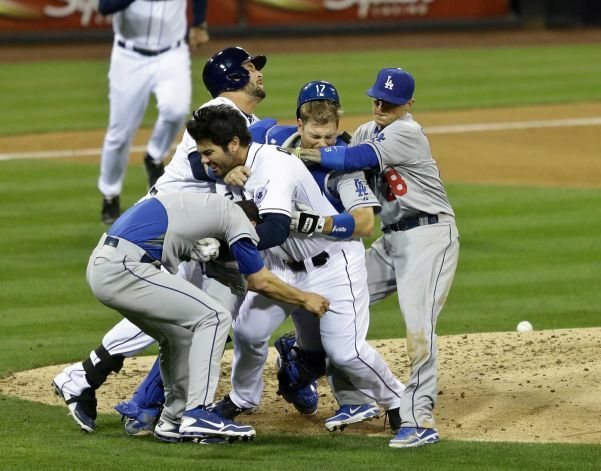 I don’t think the Dodgers, or Greinke were looking for payback. I don’t think the Padres think that either. 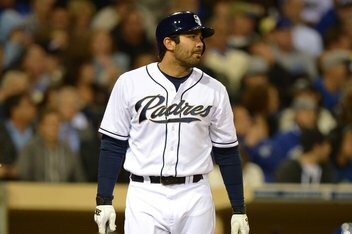 Except for maybe Carlos Quentin. This leads us to the bottom of the inning. If you actually watch the at bat Carlos Quentin has against Zack Greinke, you can actually figure out what Greinke was trying to do. He starts by working him down, then Zack starts working on the outside of the plate. With a full count now on Quentin, and mind you with runners on base, Greinke then throws his 3-2 offering to Quentin and hits him in the shoulder. 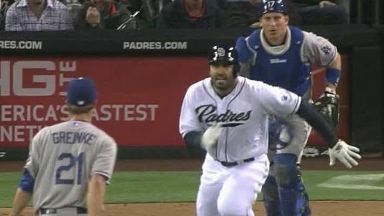 It was obvious Greinke, after throwing him away most of the at bat, was trying to then throw inside to Quentin, hoping to catch him off guard. But the pitch got away from Zack, and hit Carlos. But Quentin is notorious for leaning over the plate and crowding it to a point to where it is hard NOT to hit him. This can’t be mentioned enough, but plays into this scuffle and the history between these two. Quentin led the NL in HBP(hit by pitch) last year. He led the AL the year before. He averages 26 HBP per year, and has the all-time minor league record for HBPs in a season with 43. Even Craig Biggio and Don Baylor think that Quentin gets hit a lot!! 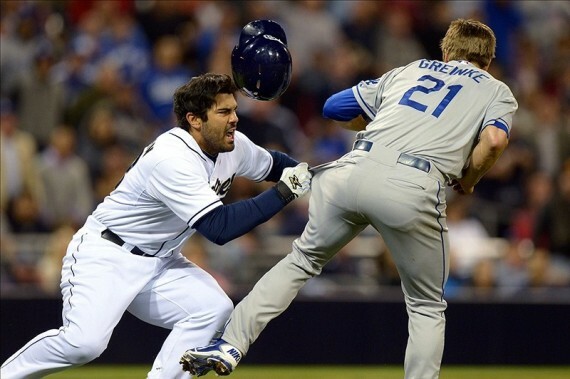 This is probably where we should also mention that Greinke has hit Quentin twice before, and Carlos had mentioned to his teammates that the next time Zack hit him he was going to go after him. 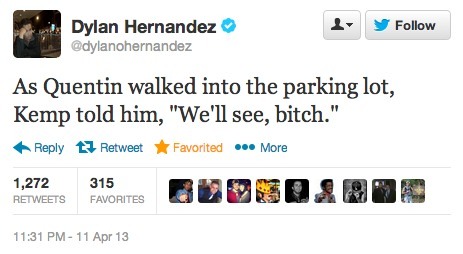 Nevermind that Quentin is the only person to blame for getting hit. 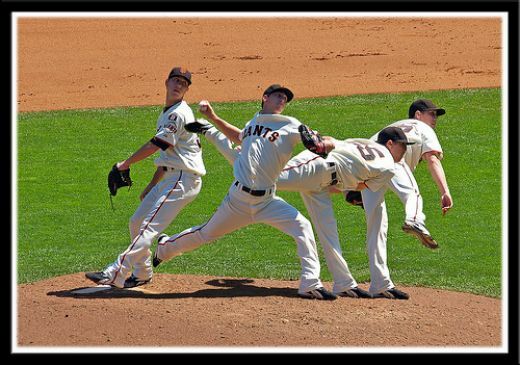 I would love to see a player like Quentin try his little tricks against someone like Bob Gibson or Don Drysdale. I don’t think he would like how those plate appearances would go. So Quentin gets plunked and we are off to the races. 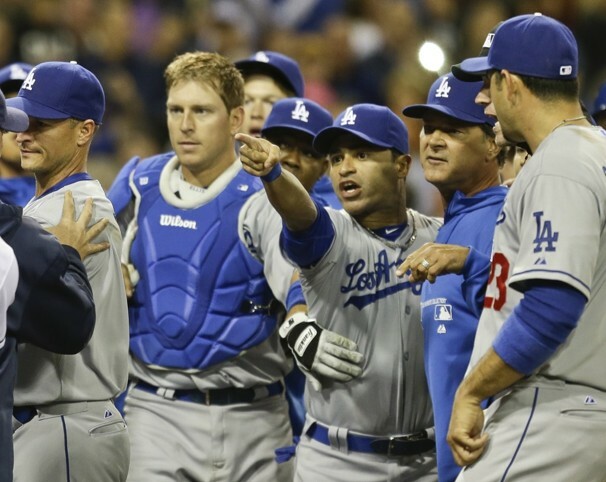 Quentin charges the mound, a few words are spoken and Greinke throws his glove down. 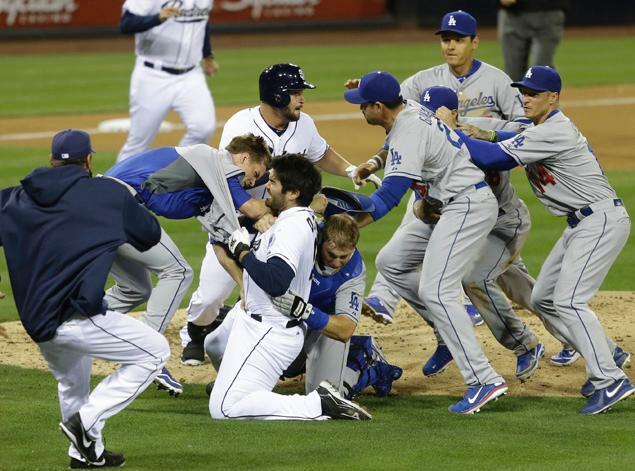 There has been some debate as to what Greinke should have done here. Obviously, he couldn’t just run away. Could you imagine him trying to live THAT down? Maybe he should have been a bullfighter and moved at the last second to ole Quentin. There was also the option of jumping on Quentin’s back and riding him around the infield. Go ahead, get that visual in your head. Instead, Zack lowered his body and shoulder-blocked Quentin. What ensued was this. We are ten games into the new season, so it’s only appropriate to have Kansas City Royals Second Baseman, mistake-free Chris Getz, to once again answer you, the fans, questions. We’ll dip into the mailbag and find out how the Royals season is going so far, in the words of one Chris Getz(or how I think he would answer). So time once again for the popular ‘Questions with Getzie’! Geez, I’m actually really disappointed. I don’t know if you heard or not, but I hit a homerun this spring. So I figured by now I’d have at least a couple. I mean, I have power now! My goal by the end of the year is to break Steve Balboni’s team record. Next year? Watch out, Barry Bonds! Golly, it’s been fantastic! I mean, just look at our infield; all of us could win a Gold Glove! Salvy is solid behind the dish, and I agree with Neddy; Frenchy is still the best defensive outfielder in baseball! I’ve heard Alex is alright, but I can’t take my pearly blues off of Jeffrey. If we don’t win some gold this year, it will be a travesty! Love the question, and it might be the one most asked in the Royals clubhouse! Luis uses Garnier Fructis Fortifying Deep Conditioner. It not only gives your hair that extra body, but it also gives it a bit more volume. I myself recommend TIGI Bed Head Dumb Blonde Reconstructor. It helped me with my split ends and was perfect for my dry hair. I’m going to stop you right there, Rob. Frenchy doesn’t get hurt. Ever. He is an Adonis, a God among men. To even imply otherwise is sacrilege in our locker room. Golly Gee, that really isn’t something I know a lot about. You know who would be good to ask? Johnny Giavotella. His e-mail address is IHateGetzie@gmail.com. As to whether or not we would miss him, I would miss his witty banter while we are out in the field. But Neddy keeps telling me Miggy can play some first, just you wait and see! So, we could afford to miss him a few games if something happened. Thanks for asking. That was a really creative question! Well shucks, looks like we are out of time again. I’m so glad to be back and to have my Getziemaniacs wait anxiously for me to answer their questions. I’ll talk to you all soon, and hopefully by then I’ll have at least a dozen homeruns on the season! We are seven games into the Kansas City Royals 2013 season, and the Royals sit above .500 with a 4-3 record. Not only that, but we were rewarded with a great come from behind victory yesterday for the home opener at ‘The K’. You can’t blame us Royals fans if we are bit giddy at this point. But we also know the season has just begun, and most of the stats early on don’t mean a whole lot. This would be called the textbook definition of a small sample size. But we are seven games into it, so I thought I would take a look at the good, bad and ugly so far this season. The only problem? There hasn’t been anything overly ugly. So you are getting the even better! So before we start printing off playoff tickets, here are some realistic tidbits of the first seven games of the season. 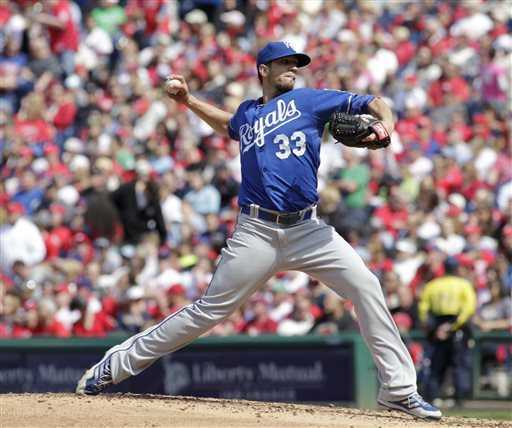 -So far, the Royals pitching has been as good(if not better) than originally advertised. James Shields has had one great start and one solid start. Ervin Santana was roughed up a bit in Chicago but pitched beautifully yesterday in the home opener. 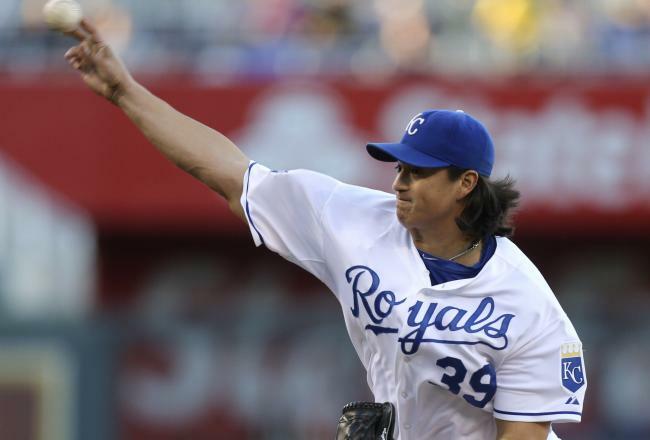 Jeremy Guthrie got the team it’s first win of the season, and Luis Mendoza was throwing some nasty stuff in Saturday night’s game in Philadelphia. Wade Davis has really been the only guy who has not had a positive start to the season. But above all this, the starting pitching has done what has been asked of them–eat up innings. Last year, it seemed like the Royals were just happy to get through five innings and then hand it over to the bullpen. This year, every pitcher other than Davis has gone at least 6 innings a start before handing it over to the pen. If the Royals are serious about winning, and want to be in the playoff hunt, these guys have to do this all season. The starters have kept their team in the ball game, while at the same time put less pressure on the bullpen. So far, no Royals fan can really complain about the job these guys have put out there. -After the series in Philadelphia, it looks like the offense seems to have found it’s way. Now, let’s also be honest about this. It’s not like this Phillies pitching staff is the team that has made multiple playoff appearances over the last couple seasons, or even been in contention. In fact, their bullpen is a mess right now. But the Royals had a great offensive series against them, and then came home to get some clutch hits in the eighth inning yesterday, propelling the team to a victory. The offense isn’t kicking on all cylinders, as the series in Chicago can attest, as well as the seven innings Kevin Correia stifled them yesterday. From a personal standpoint, I think they could also take more pitches and work the count more. They seemed to do that a lot more of that in Philadelphia. But for the most part they are getting hits when it is needed and are getting the job done. I still worry that they are going to be inconsistent all season, but for now things seem to be working. 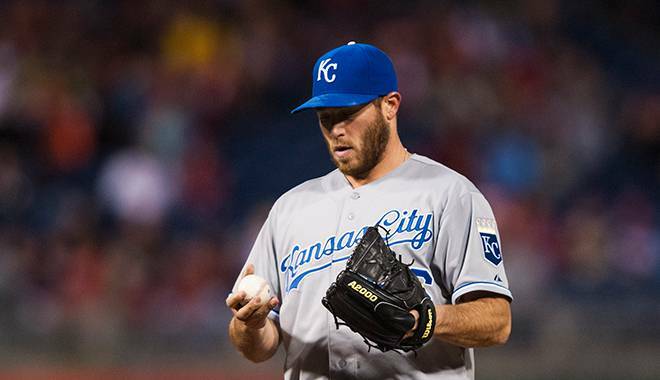 -Greg Holland has been as close to a sure thing as the Royals have had over the last couple years. 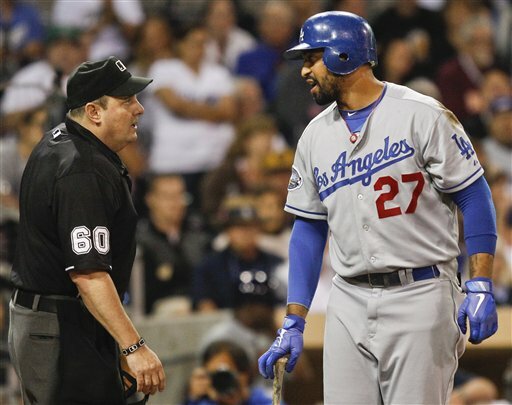 But Saturday night, he struggled to find the strike zone. 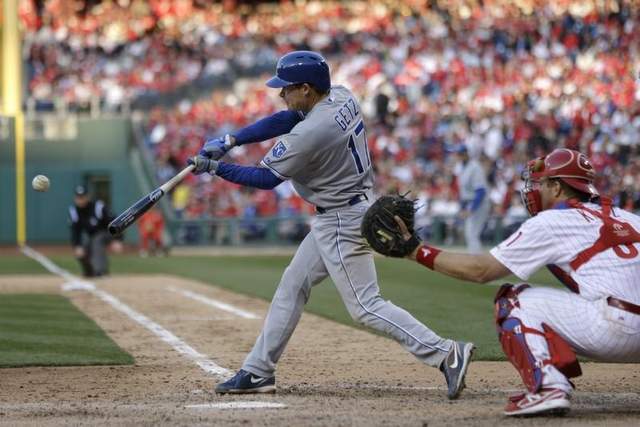 He wasn’t off by much, but he was off enough to load the bases and eventually lose the game for the Royals that night. 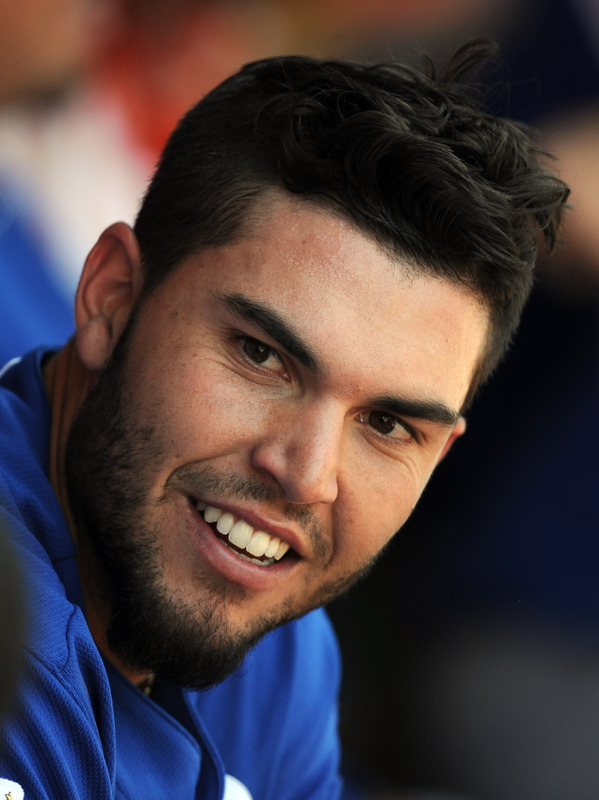 Sunday, he came in, struggled again and was given the hook by Ned Yost. Kelvin Herrera came in and gave up a hit to Laynce Nix, letting another run score and even threw the ball away before finally closing the game and getting the win. I know there are some Royals fans that want Holland out of the closers role. Let’s not jump off the cliff just yet. He has had a couple of bad games, but you don’t just throw two seasons of almost lights out work out the window. It happens, especially to closers. But I think we all know that Herrera will eventually be the closer, as he has electric stuff and seemed the obvious heir apparent to Joakim Soria. Just not quite yet. The way the starters are going, we can’t have the bullpen coming in and ruining their good outings. I’m pretty sure Holland will get corrected, and we will all laugh about this before too long. But until then, Yost does have to be smart and pull someone if they are struggling, no matter their role. Just because he is your closer doesn’t mean you stick with him no matter what. That is old, outdated baseball thinking. I didn’t think the bullpen would be an issue at all for Kansas City, but right now it isn’t the strongest part of this team. -The defense has been a rock so far on 2013. Through seven games, the Royals have yet to commit an error. To most of us, that isn’t really a surprise. This is a good defensive unit, even if the numbers don’t always spell that out. The shifts are still on (my son asked me the other day why Alcides Escobar was playing second. That went into a long conversation about infield shifts.) and Salvador Perez has been awesome behind the dish. If it weren’t for Matt Wieters, I would tell you Salvy will win a Gold Glove this year, but he might have to wait. It has also helped to have a healthy Lorenzo Cain out in the outfield. 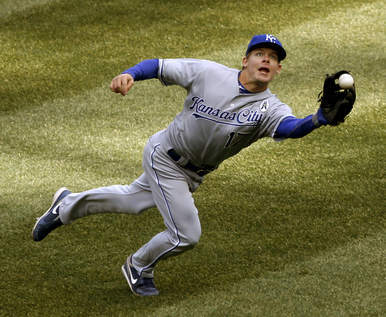 Alex Gordon and him make the other outfielder’s bad range less apparent. 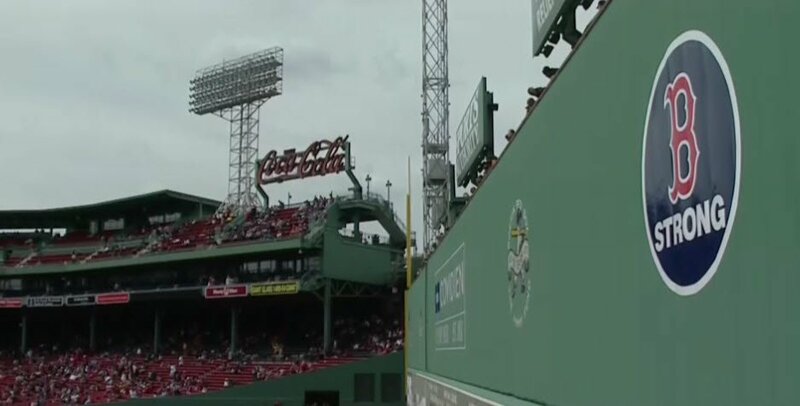 It is seven games, but not putting up any E’s on the scoreboard helps keep your team in the game. Amazing how a little pitching and defense can go a long way! So there you go, just a few notes over the first week of the 2013 season. So far, the Royals are pushing the right buttons and making the right moves to put themselves where they want to be come September. It’s a long season folks, but one that will hopefully be a positive for our home team. I haven’t backed off my prediction for the team just yet, but get back with me at the end of May. Then we can have a discussion.